To maximise your success on YouTube, you need to think about connecting with new audiences and turning existing viewers into long-term fans. One way to build your audience is to run a paid ad campaign with AdWords for video. This is an ad-serving tool which allows you to run advertising campaigns for your videos on YouTube. Before you advertise your channel’s videos with AdWords for video, make sure it offers a unique and easy-to-see value for every viewer. Channels that have a clear creative mission, branding and programming strategy tend to attract subscribers at a higher rate than channels that don't. Help accelerate your channel's growth with an effective advertising strategy. In addition to building your channel organically, another way you can reach and engage more viewers is by investing in advertising on YouTube. All you have to do is create your ad, set your budget and target the desired audience. There's no minimum price to run an ad – and you can change your ads, targeting and budgets at any time. You can also end your campaign whenever you want. Link your YouTube channel to a Google Ads account. Create a TrueView video campaign. Attention paid to video ads on YouTube is 1.8x higher than on other social media platforms. 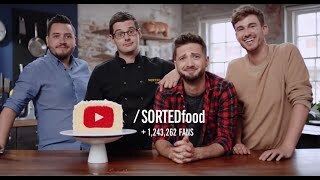 The hosts from Sorted Food invite viewers to 'come cook with us on our YouTube channel'. Zoella introduces viewers to her channel, which covers fashion, beauty and lots more. 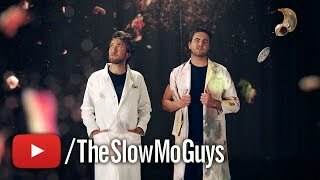 TheSlowMoGuys, Gavin and Dan, show what your eyes can't see in this 30-second ad. Who. Try choosing specific or niche audiences based on demographics, language and interests. For example, you could target 18 to 34-year-old female 'cooking enthusiasts' who subscribe to food channels and watch culinary videos. What. It can help to select from topics that are most relevant to your channel. You can use contextual targeting to reach viewers searching for specific content. Or choose the video or channel on which you want your ads to be shown. Where. Define the location of your audience – country, region, city or postcode. You can even define a custom location by radius or place of interest. When. Decide how often your ads are shown and on which devices. If you have a limited budget, you can pace the delivery of your ads throughout the day. For your campaign, you can use YouTube-specific ad formats. These ad formats and interactive elements give you a variety of methods to encourage viewers to engage further with your content. This ad immediately immerses viewers in your content. After five seconds, they can keep watching or skip it. You pay when a viewer watches 30 seconds (or the whole duration, if shorter) or interacts with your ad. Use this format when you want your video ad to appear before, during or after other videos on YouTube. This ad appears next to related YouTube videos, on YouTube search results or on the YouTube desktop and mobile homepage. You pay when a viewer clicks your ad and begins watching your video. Use this format to reach people in moments of discovery, when they're searching or browsing videos. This ad is six seconds or shorter and plays before, during or after another video. Viewers cannot skip the ad. You pay per CPM (each time your ad is shown 1000 times). You can add interactive elements to your video ads to drive deeper engagement. Select the options that best support your campaign goals. Call-to-action overlay: Appears as soon as the video begins to play and can be closed by viewers. If viewers click, they're redirected to a channel or website that you define. Card: Shows as a teaser for a few seconds. There are several different types of cards. For example, you can link to a video or video playlist on YouTube. End screen: Appears for a few seconds at the end of your video. This element can expand to reveal more information when viewers hover on desktop or tap on mobile. Companion banner: Accompanies a TrueView In-Stream ad as a clickable thumbnail. It can guide viewers to take an action such as 'Watch more' or 'Subscribe'. Review display specs for YouTube ad formats. Try uploading your TrueView In-Stream ad as your channel trailer. It can help to use clear, interesting thumbnails for your TrueView Discovery ads. You can show Bumper ads on mobile devices, to reach people watching on the go. There's no single formula for a perfect video ad, but here are a few recommendations pulled from our experience with some successful creators to help you deliver maximum impact. Tell your story. While bumper ads are great for quick messages, you can use TrueView ads for longer narratives. Make the first 5 seconds count. Capture viewers' attention early so that they continue watching. Show it in many ways. Create multiple ads and test them across audiences and devices. Drive interactions. Improve brand awareness and engagement through interactive elements. Leverage your best content. Build ads that incorporate clips or concepts from your most popular videos. Provide clear next steps. Direct your viewers to take a specific action, such as subscribe to your channel. Give viewers time to act. Include an end screen and a strong verbal call to action in the last 5–10 seconds. Write a friendly title. Viewers may be influenced by the title, so take this opportunity to pique their interest. What is the primary goal of your ad campaign? You might be aiming to grow your audience or expand your revenue. Keep your goal in mind when applying your strategy. Google Ads can help you increase your channel views and watch time. When targeting viewers, it can help to start broad and then zoom in. Try topics and affinity audiences to target potential fans and then switch your investment to the targeting options that give you the desired results. If you have a lot of views, but want more subscribers, you can try remarketing through Google Ads. This lets you target your video ad to unsubscribed viewers who've already shown interest in your channel by viewing, liking or commenting on your videos. Goal: Expand your global reach. Find out where your current audience tunes in by checking your Demographics data in YouTube Analytics. You can combine remarketing with geographic and language targeting to reach similar audiences in other countries who may also enjoy your channel. Elevate a new content release, such as a new album or series. You can build buzz early with Bumper ads, then follow up with full-length video ads upon launch. After launch, you can run more Bumper ads to play off of key campaign elements that resonated. Google Ads can help you complement other promotion efforts to sell your products. You can use interactive elements such as cards, which connect viewers to products that they've already viewed or that are related to the video that they're watching. Goal: Reach new audiences with cross-promotion. Create a remarketing list of all the viewers or subscribers of your collaborating channel. Create a list of your current subscribers. Then, create a custom combination of all viewers/subscribers to the collaborating channel that aren't subscribed to your channel. Then try planning a cross-promotional ad explaining why this audience would be interested in your content. Try adding managed placements to show your ads on specific channels. To drive subscriptions, you can send viewers to your subscription page as your 'final URL'. To target keywords by locale, try using tools such as Google Trends. View the Cards report in YouTube Analytics to see how well your cards are doing. Atlantic Records used bumper ads to launch English band Rudimental's second album. The 'Smell Like a Man, Man' campaign achieved over 100 million YouTube views. Impression: Counted each time your ad is served. Views: This counts when a viewer watches 30 seconds of a TrueView ad (or the duration if under 30 seconds) or interacts with your ad. All views of video ads longer than 10 seconds will count towards your channel's view count. View rate: This tells you the % of viewers who decided to watch or interact with your video ad. Average CPV: Average amount you pay each time someone views your ad. Earned views: When someone views your ad and then watches another video on your YouTube channel within seven days. Decide what success looks like and then translate that into metrics that are relevant to your channel. For example, to determine how your target audience is engaging with your content, you can look at view rates and analyse how many of your viewers convert into subscribers. A successful YouTube ad campaign achieves your goals as efficiently as possible in accordance with your daily budget. Remember, it may need to be fine-tuned along the way – don't hesitate to review how you're doing and make changes to improve performance. You can use YouTube Analytics to find out how effective your ads are. Use the Traffic sources report to identify how much of your viewership is coming from "YouTube Advertising". The Audience retention report shows you how well your videos are holding viewers' attention. Have you unlocked more detailed performance reports? If you link your YouTube and AdWords accounts, you can unlock more detailed metrics for your YouTube promotions in your AdWords account. The "audience" columns will show you the number of views, subscribers, shares and likes that your ads have earned.